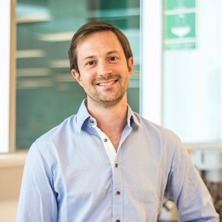 Jonas Fooken is a Postdoctoral Research Fellow with the Centre for the Business and Economics of Health, a join initiative of UQ’s faculties of Business, Economics & Law; Health and Behavioural Science and the Mater Hospital. Before Joining UQ in 2016, Jonas worked for the Behavioural Economics Team of the European Commission’s Joint Research Centre, where he worked on behavioural issues of health and tax policies for the EC and for EU Member States. He had started this job after graduating with his PhD in economics from QUT in 2013. Prior to this Jonas also worked as an economist for KPMG Germany. Having much of his training in behavioural and experimental economics, his expertise is in designing and conducting experiments both in the theoretical domain as well as with applied focus. His research interests are focussed on the application of behavioural and experimental economic tools to questions arising for public policy makers, particularly those in areas of healthcare provision and public health. He, Yumei, Fooken, Jonas and Dulleck, Uwe (2015) Facing a changing labour force in China: Determinants of trust and reciprocity in an experimental labour market. Economics Bulletin, 35 3: 1525-1530.